Would you or your parents like the chance to win a prize? 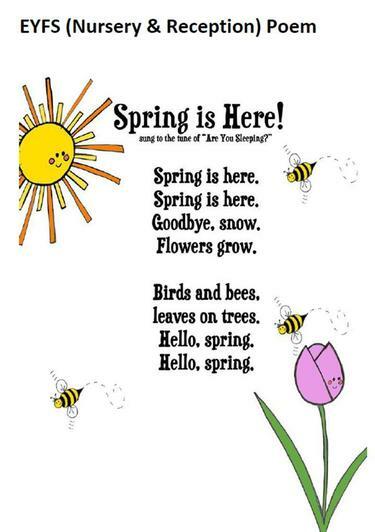 Then enter our Spring handwriting competition. 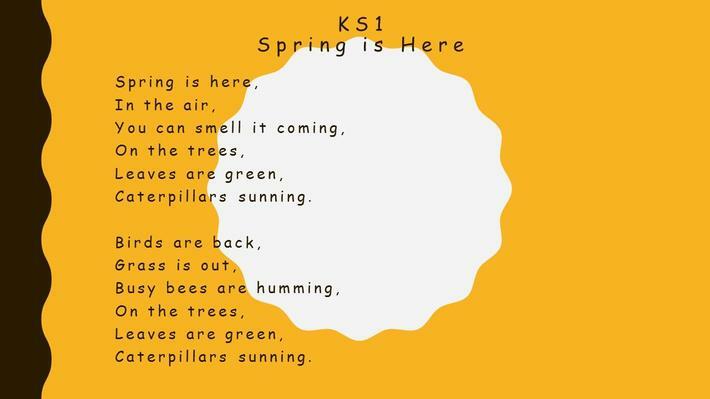 All you need to do is use your very best handwriting to copy your specific Key Stage poem. 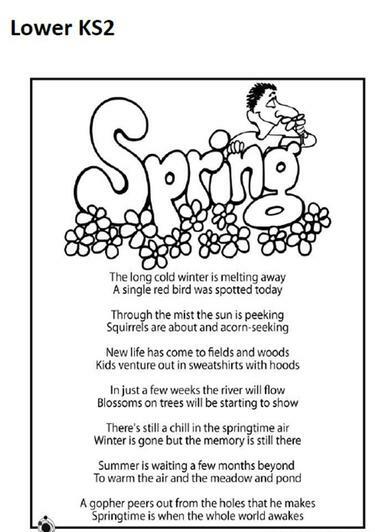 If your parents would like to enter they can write out a Spring poem of their choice. 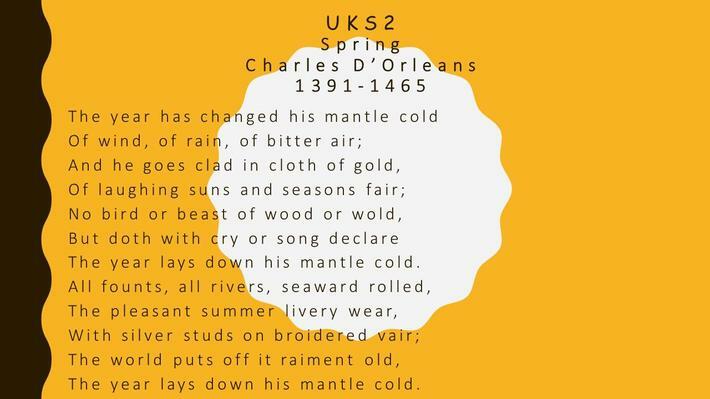 All entries must be completed and handed in to your class teacher by Thursday 24th March. 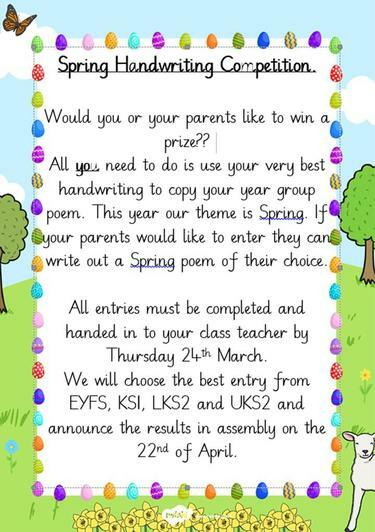 We will choose the best entry from EYFS, KS1, LKS2 and UKS2 and announce the results in assembly on the 22nd of April.